On 27 August 2014 Audrey Walters died suddenly aged seventy eight. 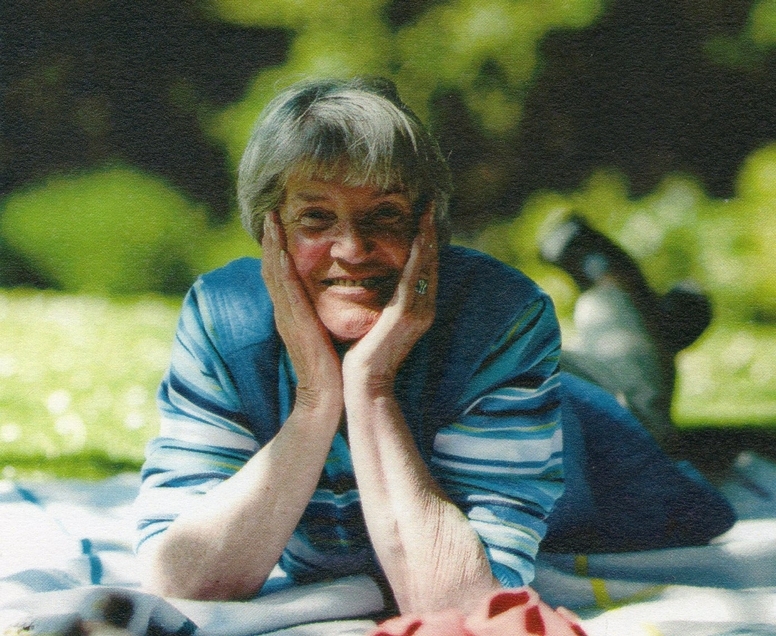 At her funeral on Wednesday 10 September family and friends gathered together to celebrate her full and varied life. As her body was laid to rest in the cemetery at Lamlash on a beautiful, still, warm, sunny day the songs of Robins filled the air. This seemed an apt tribute to Audrey who had a lifelong passion for birds. As the bird recorder for the Arran Natural History Society from 1992 to 2005 Audrey collated all the Arran bird sightings, organised surveys, contributed regularly to the nature notes in the Arran Banner and each year produced the annual bird report. Howard Driver, the previous editor of the Arran Banner, rightly commented that she was an enthusiastic character and always so cheerful. Striding the Clauchlands shore with her binoculars round her neck, she was a familiar figure. When she handed over the reins of bird recorder to me in 2006, her passion for Arran and its birds was undiminished. She assiduously kept her bird records and shared these. Each year she kept her own annual list and regularly when I saw some bird that I thought she would like to add to her list, I would phone her, hoping that the bird would hang around for her also to enjoy. She did enjoy her birds. Her enthusiasm shone through. Her delight when she saw familiar favourites or something new was obvious in those twinkling eyes and characteristic smile. Her home in Margnaheglish was called Sula. From Icelandic roots, its meaning is Gannet, one of her favourite birds. 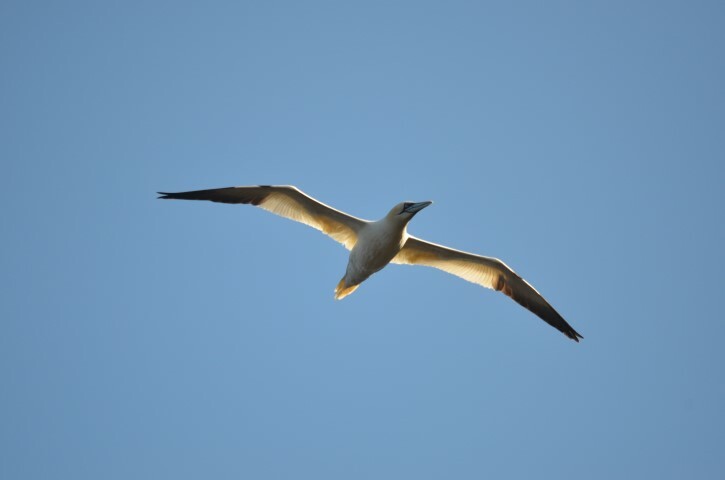 The attached image of the sunlit Gannet was taken by Arthur Duncan at her beloved Clauchlands. In some ways it epitomises Audrey, a ray of sunshine in the Arran birding community. Audrey brightened the lives of all who knew her.